Worship at the 2018 Northwest Christian Writers Renewal will be led by Genesis Parker, the worship director at Living Hope Christian Fellowship. One look at a photo of Genesis and you can tell she is filled with the joy of the Lord. We are going to have an awesome time of worship with her leading the way! Genesis uses these words, among others, to describe who God created and called her to be: creative, writer, spirit-filled, musician-ray, heartist. A worshiper and songwriter, Genesis has a passion to see people experience the presence of God through music in a way that is sincere, honest, and full of joy. She carries a powerful prophetic voice, and her worship is a unique combination of passion, faith, freedom, and confidence. Her desire is to see people’s lives transformed through the power of God’s presence, both inside and outside the walls of the church. Genesis is a Northwest girl, born and raised. She grew up in a ministry family with a home full of music and has been involved with worship ministry in various capacities for over fifteen years. In addition to serving as worship leader at her church in Renton, she leads worship at various services, conferences, events, retreats, and camps. Genesis is currently working on an album to be released in 2019 and hopes to travel and minister internationally in the coming years. She currently lives in Seattle with her husband, Jesse, who is also a pastor and writer. Another veteran in the book business joins us this year at the Renewal. Steve Barclift has worked with books and authors for more than 30 years as a children’s book author and editor. He has been the managing editor at Kregel Publications since 1997. Last year, Kregel was awarded Publisher of the Year by Advanced Writers and Speakers Association (AWSA), and Steve was awarded Nonfiction Editor of the Year. He has been distinguished with several other awards during his long career, both as an author and editor. Steve traveled from his home in Grand Rapids, Michigan, to this year’s Renewal in hopes of finding works that address a popular audience by relating the Bible to everyday life. Prominent on his wish list are works for moms and women; Bible studies or other books that relate truth to life; fiction, particularly historical; and books for young readers. Kregel is also looking for books that will help 20- and 30-something Christians and “seekers” relate to the culture around them. It may be helpful to take a look at a few books that Steve lists as those that do well for Kregel. Two of these in the self-help category include Hope After Betrayal by Meg Wilson, which deals with a husband’s sexual addiction; and Autism’s Hidden Blessings: Discovering God’s Promises for Autistic Children and Their Families by Kelly Langston. Fiction should be fresh, have a believable story line, and feature characters who engage life realistically and biblically. Steve lists Susie Finkbeiner’s A Trail of Crumbs: A Novel of the Great Depression and her recent bestseller, A Song of Home: A Novel of the Swing Era, as examples of fiction that sells well, in addition to Mercy’s Rain: An Appalachian Novel and Liar’s Winter: An Appalachian Novel, both by Cindy Sproles. Kregel is also open to historical fiction that features a romantic element. Carolyn Miller’s Regency Series is selling very well. And the publisher will also consider romantic suspense. For the Kregel Ministry line, Steve is looking for works that facilitate the study and teaching of the Bible. These books should reflect the needs and interests of a broad evangelical audience. Though not looking for other genres, there is always a possibility that something masterfully written in a compelling and unique style will catch Steve’s eye, so feel free to pitch it. To sign up for an appointment with Steve, be sure to register soon for the Renewal. Bring your elevator pitch to Blythe Daniel at this year’s Renewal. Approachable and energetic, Blythe takes a personal interest in the authors she represents. 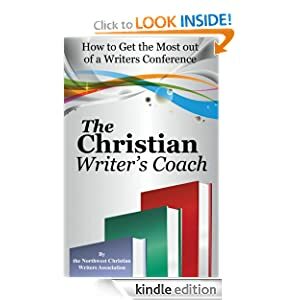 She is returning to this year’s Renewal to meet with you if you write about Christian Life, Spiritual Growth, Current Events, Inspirational/Narrative Nonfiction, Business/Leadership, Church Leadership, Marriage, Parenting, Apologetics, Social Issues, Women’s Issues, Cooking and Gift books concepts. She will consider devotionals with a unique theme and concept, and Children’s picture books and early readers with Christian concepts. Blythe is always on the lookout for up-and-coming voices of ministry leaders, business leaders, pastors, journalists, counselors, and others who have an established organization or ministry, or are part of one. It’s important that you have an online presence and a strong platform. She wants to see what you have done, not just what you plan to do! Blythe focuses on the placement of books with publishers, online marketing, and publicity for authors. She helps writers build the right book proposal, conducts publicity campaigns, and has placed clients in a number of major national media outlets. Come prepared with an “elevator pitch.” In 30 seconds to two minutes tell about your idea, including what your book is about, who it’s written for, and how you are connected with your audience. Tell Blythe about your blog, podcasts, YouTube videos, publications you contribute to regularly, your speaking schedule, and your network with other writers and published authors. Don’t have all of these? Don’t worry. If you write well and have a concept that’s unique and in her wheelhouse, the Blythe Daniel Agency is willing to take you on. Once there, you can be confident that Blythe has a proven track record of 20 years in the industry, including seven years at Thomas Nelson and working with New York Times bestselling authors John and Stasi Eldredge. And Exactly How Do I Sell My Book? – E-mail subscriber lists, podcasting, launch teams and what else? These are the current and proven tactics that sell books, whether you are traditionally or independently published. This workshop will explore what these items are and how to implement them in your marketing plans. What Makes Your Book Eye-Catching to Publishers – Stellar writing, a unique and compelling idea, and your reach to the intended audience. These are the things that make your book attractive to publishers. They want you to write toward a theme that no one else is saying. How do you do this? Blythe will give examples and share how to take a topic and create an angle that will differentiate your book. Also covered will be how to write to your audience so that you are saying something that only you can offer. Check out all the workshops being offered this year. To request an appointment with Blythe, register soon for the Renewal.